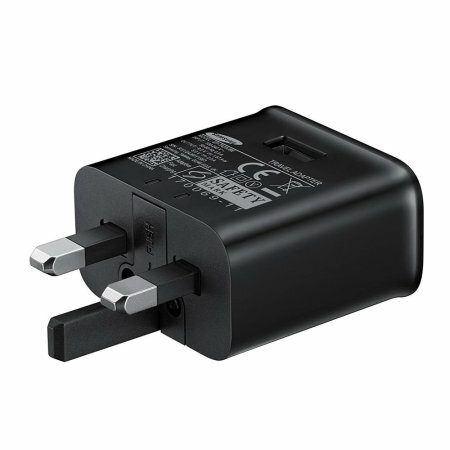 A genuine Samsung UK adaptive fast mains charger for your USB-C Samsung Galaxy S9 Plus phone. 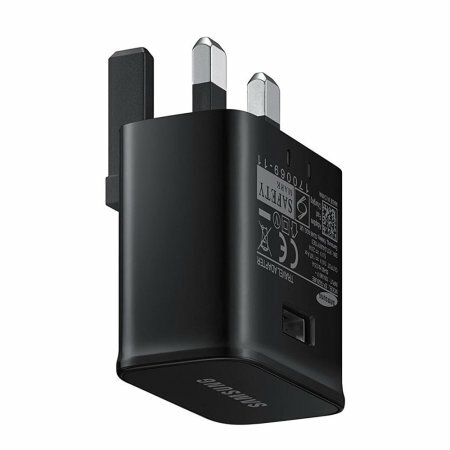 With folding pins for travel convenience and a genuine Samsung USB-C charging cable. Retail packed. Bought as a spare for my S9+. Genuine Samsung item. As you're being so extremely annoying with your emails to rate this, there you go, a 4, because is no being enough time to test its endurance. Experience faster charging speeds than ever before with Samsung Adaptive Fast Charging. 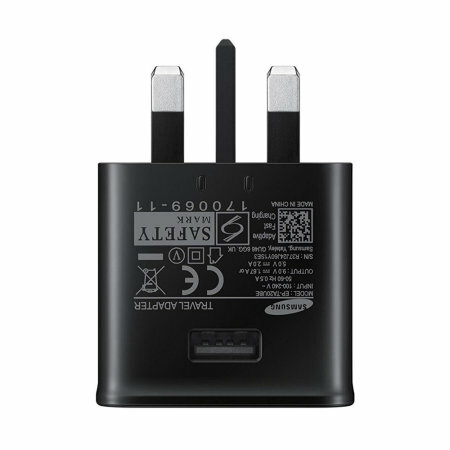 Using the built-in technology of your latest Samsung Galaxy phones (including the S9 Plus) this Official Samsung Adaptive Fast Charger can rapidly recharge your device. No more hanging about, just super quick charging. 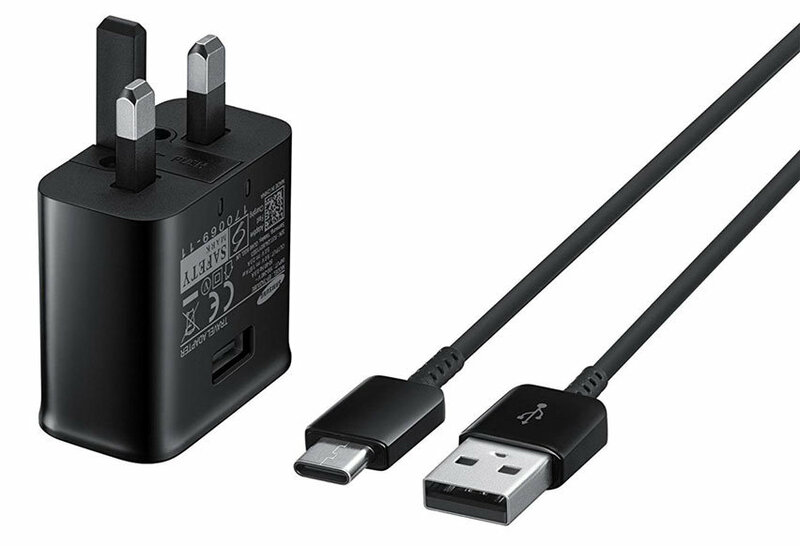 This product comes with a genuine Samsung USB-C cable for you to use with your USB-C compatible devices. 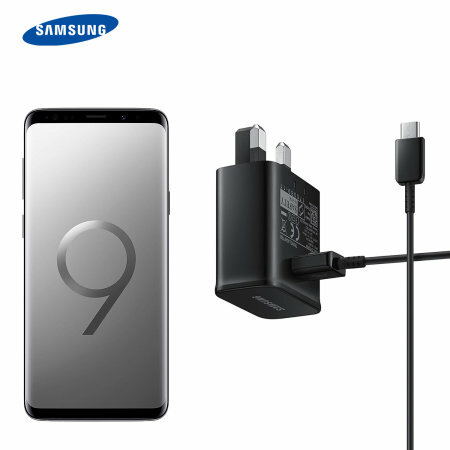 With the included official Samsung USB-C cable, you can sync data between your phone and computer with extreme transfer speeds that allow you to quickly copy pictures, movies and much more.